Last week, during the seventh annual Clinton Global Initiative event, President Bill Clinton welcomed Aung San Suu Kyi, Nobel Prize laureate, peacebuilder, and general secretary of the National League for Democracy via satellite and Archbishop Desmond Tutu, chairman of The Elders in a first-time conversation between the two visionary leaders. Suu Kyi spoke about her own struggles for human rights, democratic governance, and ethic reconciliation, while Archbishop Tutu discussed his recent work to end child marriage. The highlight of the conversation was the overwhelming admiration Tutu and Suu Kyi expressed for each other’s efforts to promote world peace and democracy. 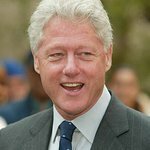 President Clinton also introduced President Barack Obama, who made remarks regarding job creation in the U.S., including infrastructure building and supporting education. President Obama also thanked CGI members for their commitments to address some of the world’s greatest challenges. On Thursday night, Clinton hosted the fifth annual Clinton Global Citizen Awards, which were presented to Mhammed Abbad Andaloussi, Philippe Douste-Blazy, Denis Mukwege, Güler Sabanci, Trudie Styler and Sting. President Clinton hosted the event, emceed by Sarah Jones, Tony and Obie award-winning playwright and performer and UNICEF Goodwill Ambassador. Sting and K’Naan performed. Morgan Freeman, Iman, Muhtar Kent, Michael McKean, Annette O’Toole, and Barbra Streisand made special appearances in honor of the recipients. Concluding the 2011 Annual Meeting, Secretary of State Hillary Rodham Clinton was joined on stage by her daughter Chelsea Clinton for a conversation on current affairs including the Arab Spring, the role of technology in an ever-changing world, empowering girls and women, climate change, freedom of expression, and managing our finite resources with a growing population.